Please look at the illustrations above. Most privately owned businesses look like the picture on the left. Why is the company tilted? Because the business is too big for one person to try to balance! If almost everything in your company ultimately falls on you to handle, then that’s what your company looks like. I feel badly for you! Look at all that weight on your shoulders! That’s a lot of pressure. You probably don’t get much time off, either. After all, if you were gone, what would happen to the company? Yup, it would fall down. Go back to the picture on the right: That’s what a stable company looks like. This business is strong and able to accommodate growth without anyone getting crushed. The company on the right is far more valuable, rewarding, and enjoyable to its owner than the one on the left. The difference between the two pictures is simple: one has all the weight on the owner; the other has weight distributed among an executive team. What is an executive team? It is a group of individual leaders in your company who are responsible for a division, or a department. In very small businesses, the entire department may be made up of just one person. In larger organizations, the departments have department heads with people that report directly to that person. This could be your sales manager, production manager, manager of client services, controller, store or facility managers, marketing director, crew chiefs, vice presidents, etc. Now that we have the “who” figured out, let’s talk about what an executive team does. An executive team’s job is to assist the owner (or CEO) in working “on” the business, as opposed to working “in” the business. The executive team helps the CEO create the company’s goals, and then transforms those goals into smart strategies. Then they break those overall strategies down into specific action steps. But that’s not all; the executive team is also responsible for making sure the action steps that have been decided on are actually executed all the way to completion. We’ve got the “who,” and we’ve got the “what.” Now, let’s address the “when” of the executive team. Your executive team should meet together privately and uninterrupted at a minimum of a couple hours per month. For bigger businesses, you’ll likely spend even more time than that. But even the smallest businesses should allocate at least a couple hours every month to strategic planning, improving operating plans, reviewing past initiatives, and agreeing on the assignment of specific actions steps that will be accomplished before the next scheduled executive team meeting. If you’re the only person in your company, you should still do this. 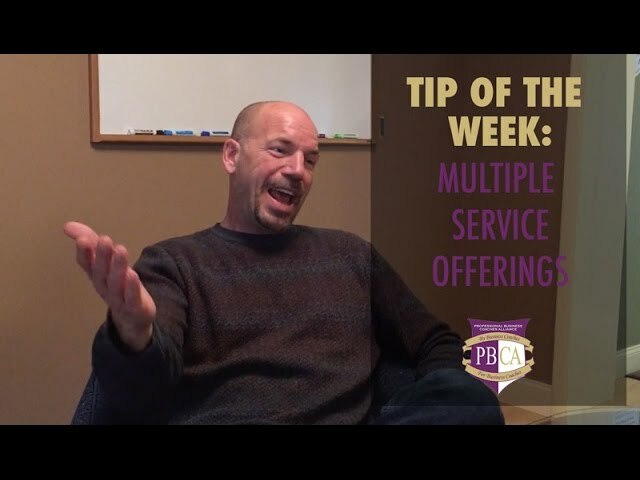 Hire a professional business coach, meet with another business-owner friend, talk to your spouse about it…do whatever you need to do to make sure you spend this time working strategically on your business each month, but don’t do it alone. When everyone understands why you’re doing something, a couple things happen. First, your team will support your plans because they see the value in it. People don’t like change for changes’ sake; but they do appreciate smart change for improvements’ sake. Second, this is a great way to get every brain in the game! Here’s a fact: the executive team has limitations, too. By getting your entire team involved in reaching your goals, you’ll have more ideas to choose from, better ideas, and you’ll have an entire team of people more engaged in reaching your goals. This helps you for obvious reasons, but it also helps your individual employees. When people are more informed and have the opportunity to make suggestions, they feel more respected and valued. Who do you think make better employees- people that don’t feel valued and respected, or those that do? I know the answer is obvious, but sometimes we forget that during the day; we need to remember! The key to successful business improvement is (1) To plan effectively, then (2) Execute vigorously, then (3) Measure periodically, and (4) Adjust accordingly; and then continue this cycle again by executing the new, adjusted plans. At your first (or your next) executive team meeting, please explain this to your executive team so everyone’s clear on the executive team’s purpose. Specifically, let them know that their job is to identify opportunities (problems), plan to solve them, oversee the execution of the plans, measure the results generated from executing the plans, and if necessary, adjust the plans and then oversee the execution of those new, adjusted plans. Your executive team is essential in being able to formulate the best plans. The executive team helps you put overall plans into specific action steps. Then, your executive team is responsible and accountable to ensure the action steps are completed. Since your executive team members are on the front-line or have easy access to the front-line, your executive team will be able to more easily measure the results of all the action steps. Finally, when plans need to be adjusted, you’ll have every brain in the game and can come up with the smartest, most efficient way to adjust your original plan and then move that new plan back into the execution phase. Perhaps the single, most important thing for business owners to do is to create a smart and functioning executive team. This will make your company more profitable and more valuable. It will allow people in your company the opportunity for professional growth and personal fulfillment. And finally, it will allow you –the owner- to be able to have much more control, balance, peace, and happiness in your business and in your life. 1. If you don’t already have an executive team at your company, it’s time to create one! 2. Decide on a regularly scheduled day and time to have your executive team meetings. 3. Have each person on your new (or existing) executive team create a “master list” of all of the opportunities, problems, and challenges they see in the business. 4. At your first (or next) executive team meeting, have everyone go through their list. 5. From your Opportunities List, choose the top three to five ideas (initiatives) you want to focus on first and then start working through them one-by-one. 6. Continue with your regularly scheduled executive team meetings. 7. Be sure to provide your executive team members the notes from each meeting along with a list of the action steps that were agreed to. 8. Finally, be sure you’re building a culture of accountability by staying regimented and disciplined during your meetings and ensuring that all action steps are assigned, completed appropriately and on-time.